Uses Font Awesome, the best free to use font icon library available. Set your bar on the top, left, right, or bottom side of the page. Defaults to blocks on the side, but you can also set the style to show rounded corners or circles. 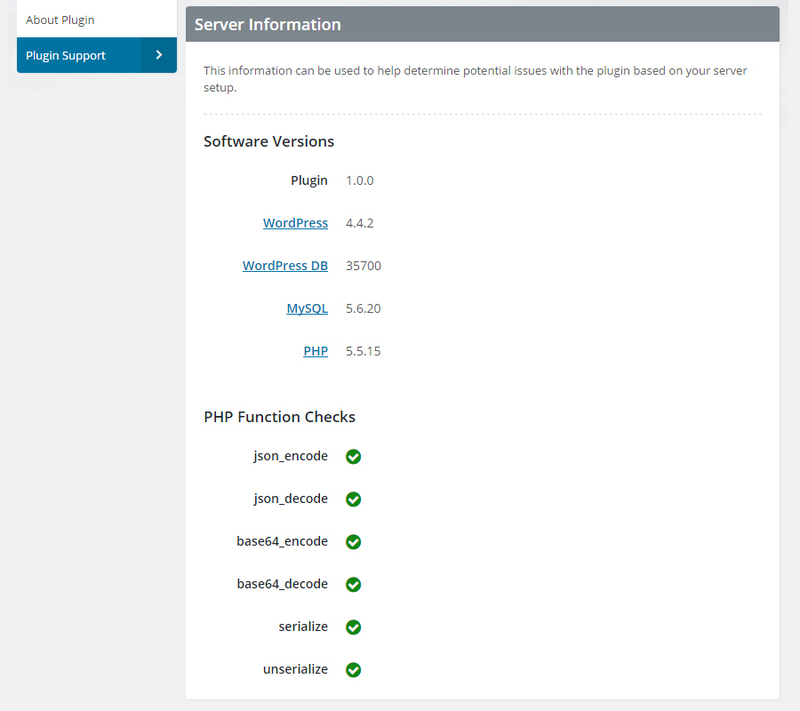 Default, light, transparent, and color themes available plus custom options. 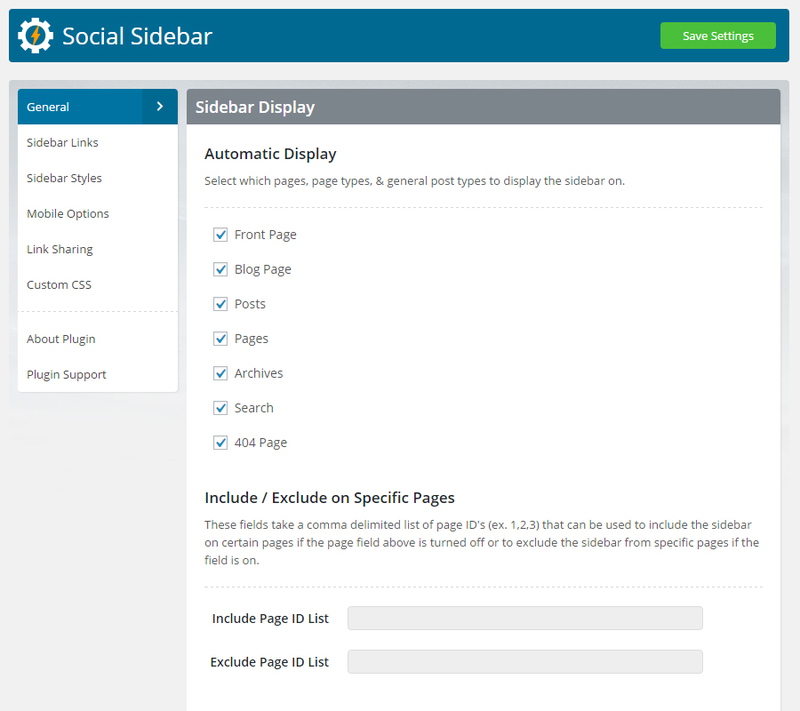 Choose from general page and post types to display the bar on (or not) as well as a manual mode for more customized integration. 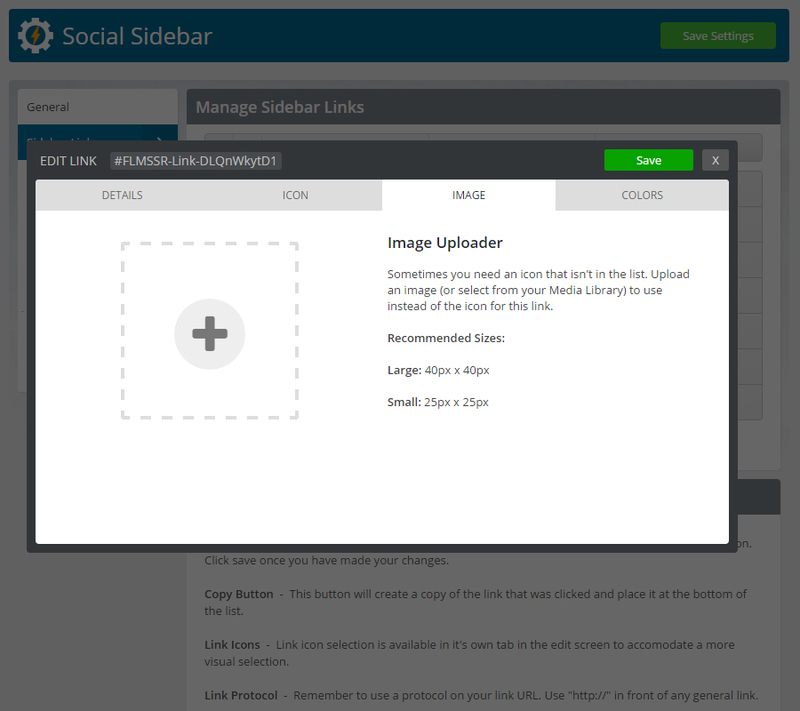 Share your site pages out with this link type and choose from a wide array of services powered by AddThis.com. 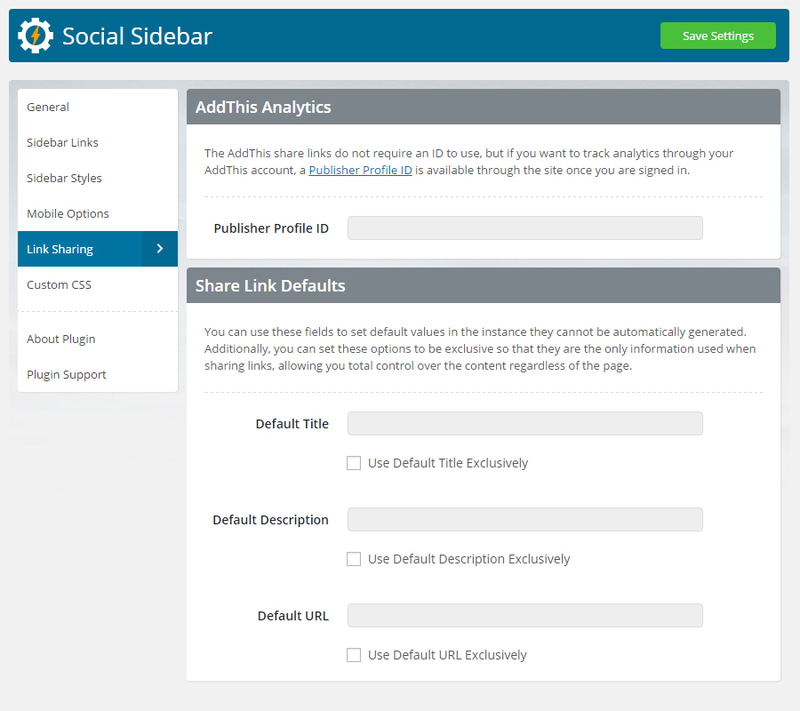 Sharing defaults, overrides, and AddThis Publisher ID options also available. Now with standard share links! Control settings like never before! Popup windows, custom colors, icons or images, the sky is the limit! 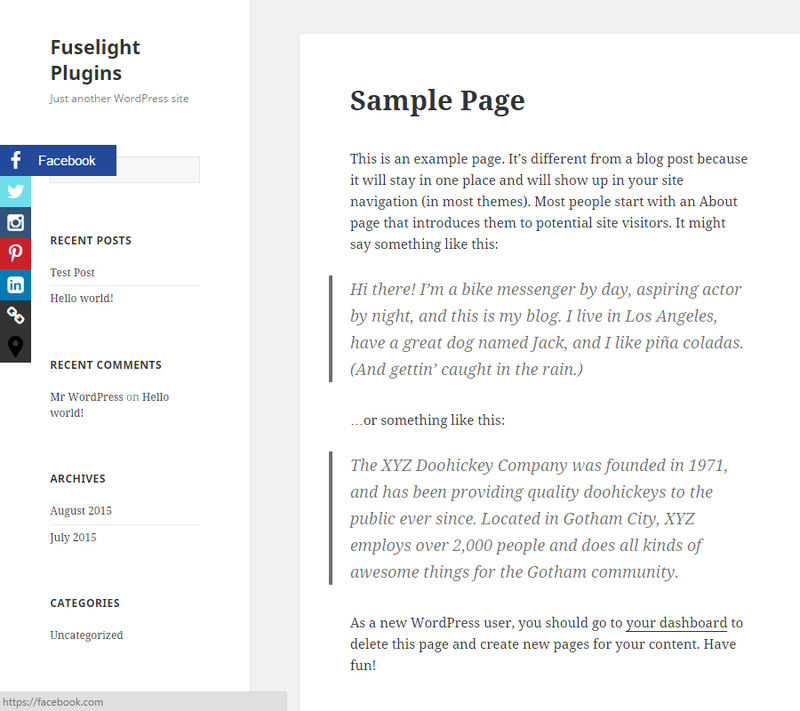 Font Awesome – Font icons used in the plugin and demo. 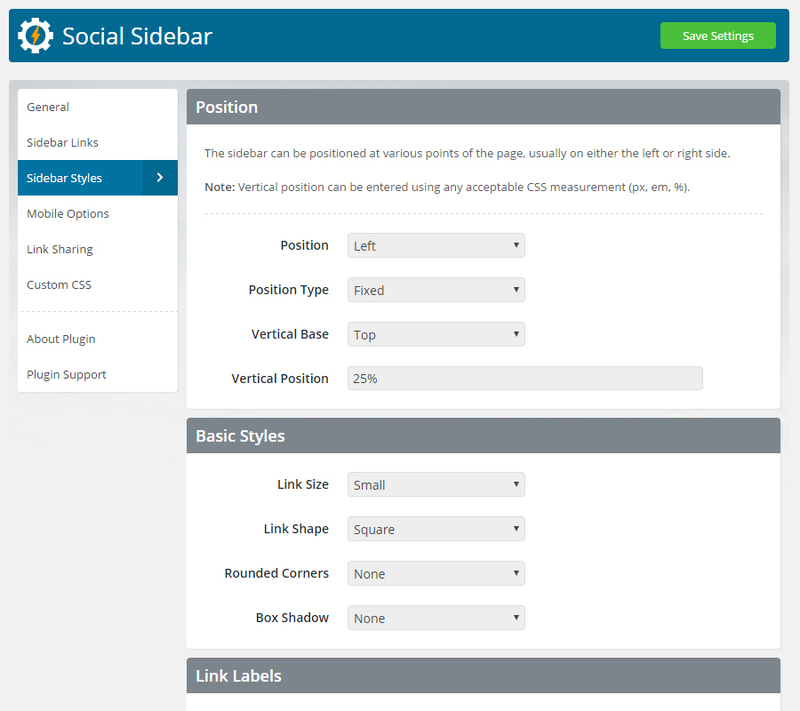 CodeMirror – Custom CSS editor in the settings panel. 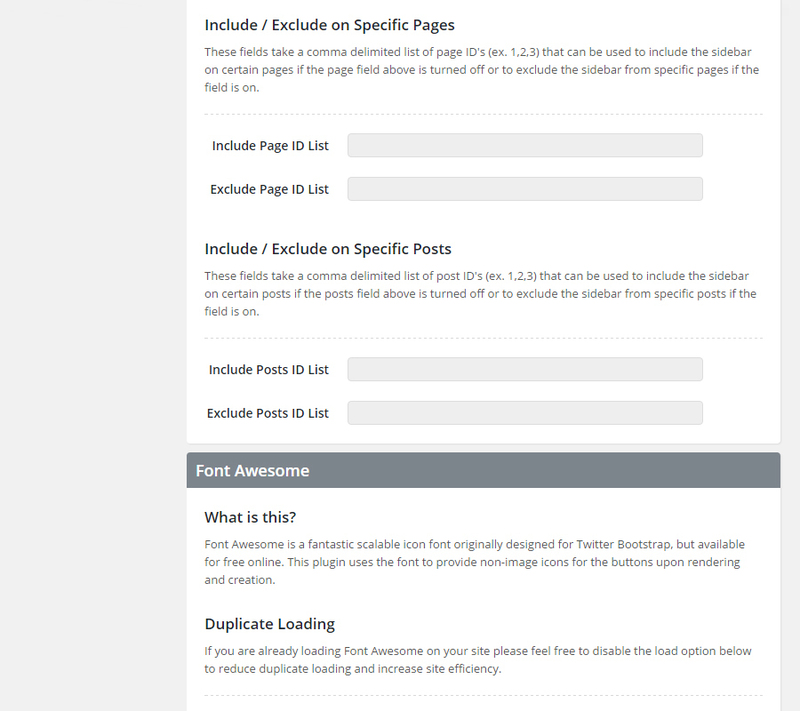 - Updated: Font Awesome to version 4.6.1. - Bug Fix: Rel field fixed and spacing added. - Bug Fix: Page and post inclusion / exclusion fixed. 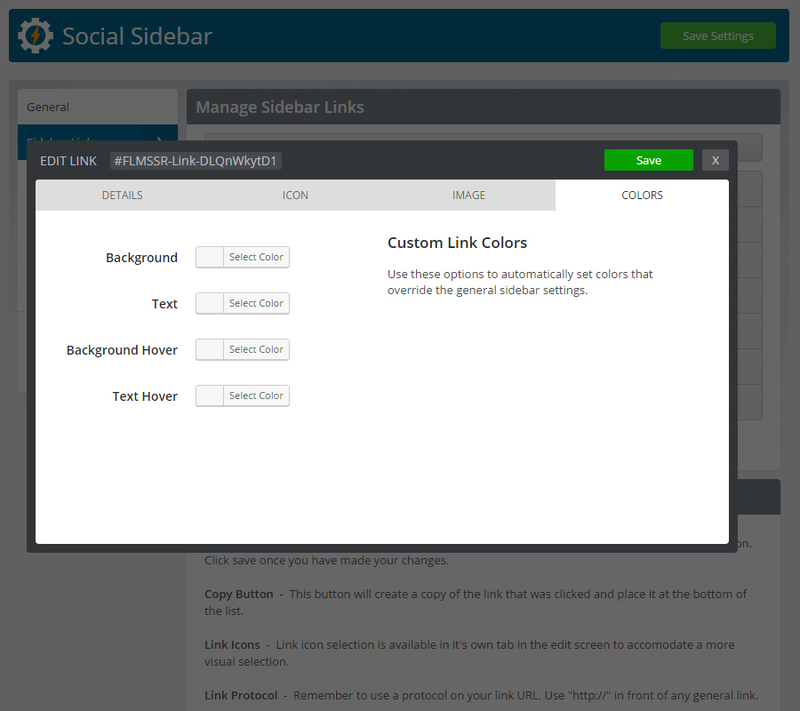 - New Options: Transparency settings added to custom sidebar colors. 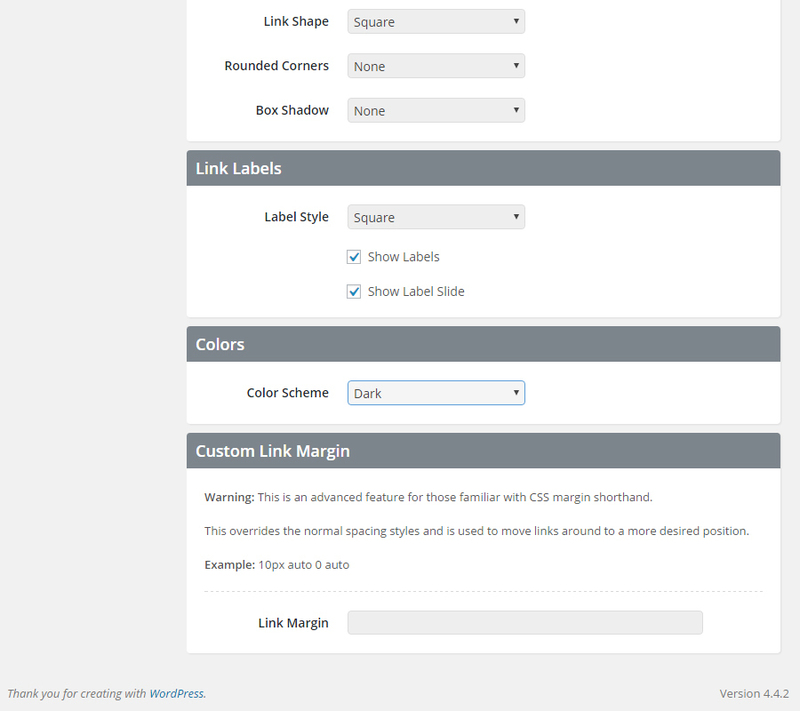 - New Options: Transparency settings added to custom link colors. 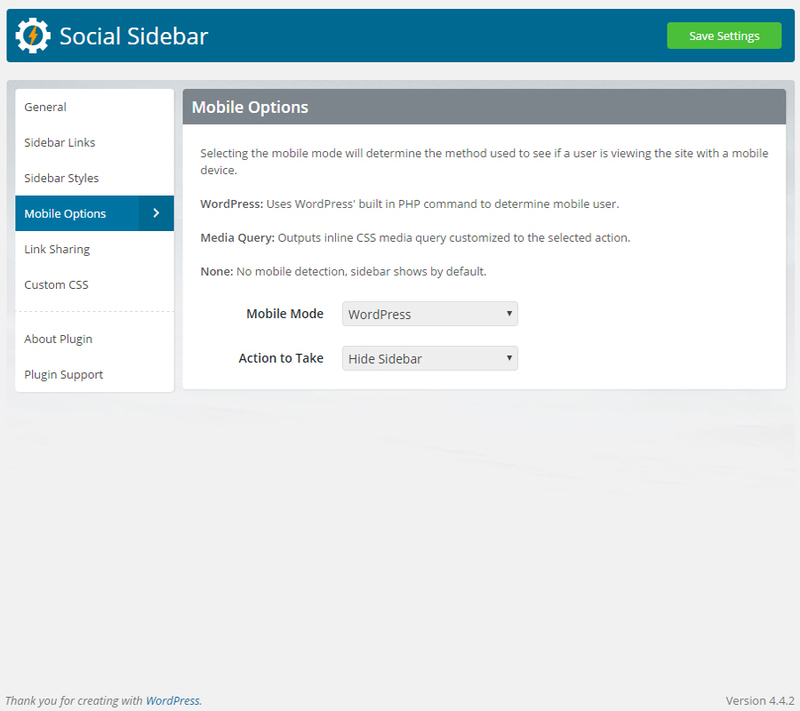 - Backend: Filter "flmssr_sidebar_output" added for sidebar display. 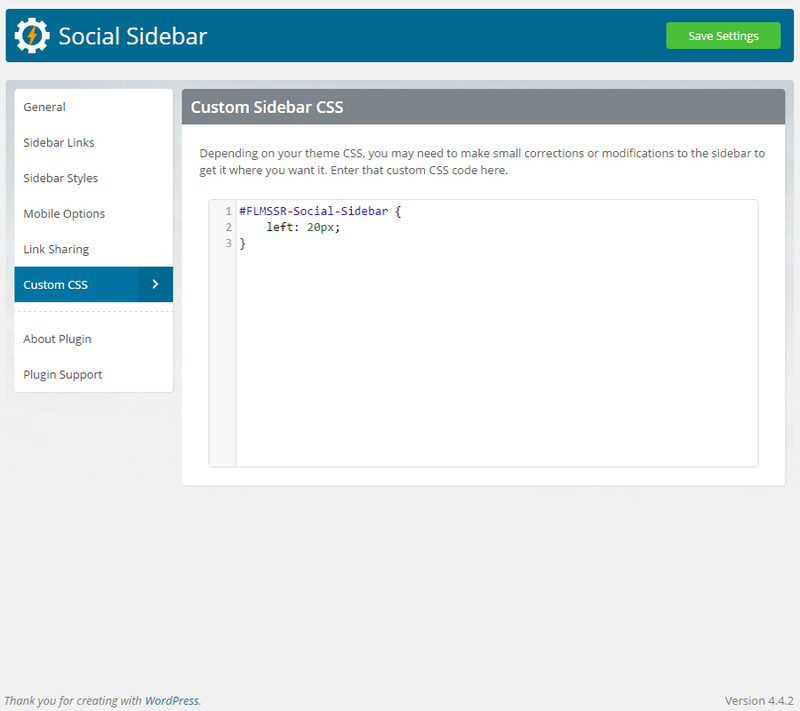 - Backend: Filter "flmssr_sidebar_styles" added for sidebar inline CSS. 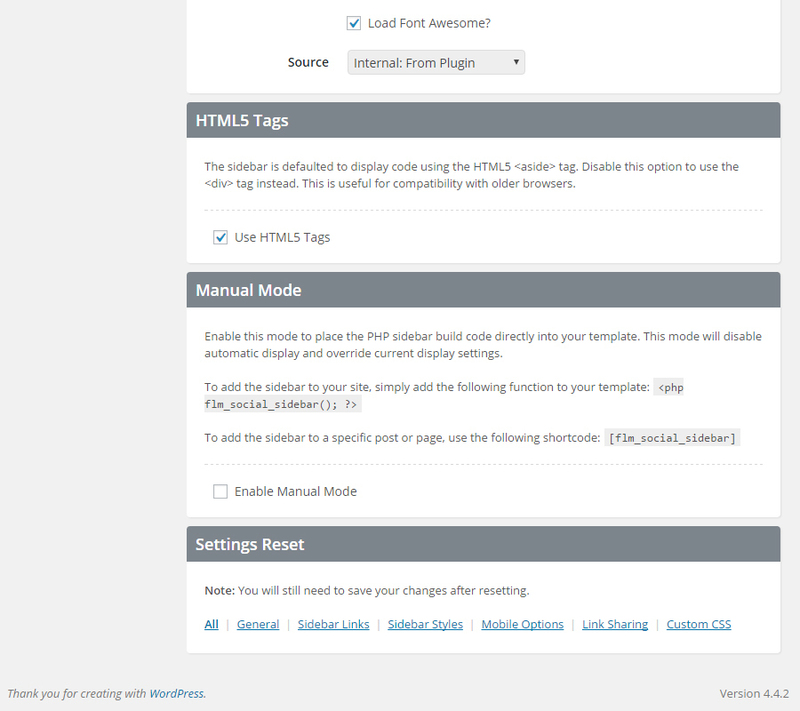 - Minor Fixes: Modified CSS to handle small layout issues based on support. 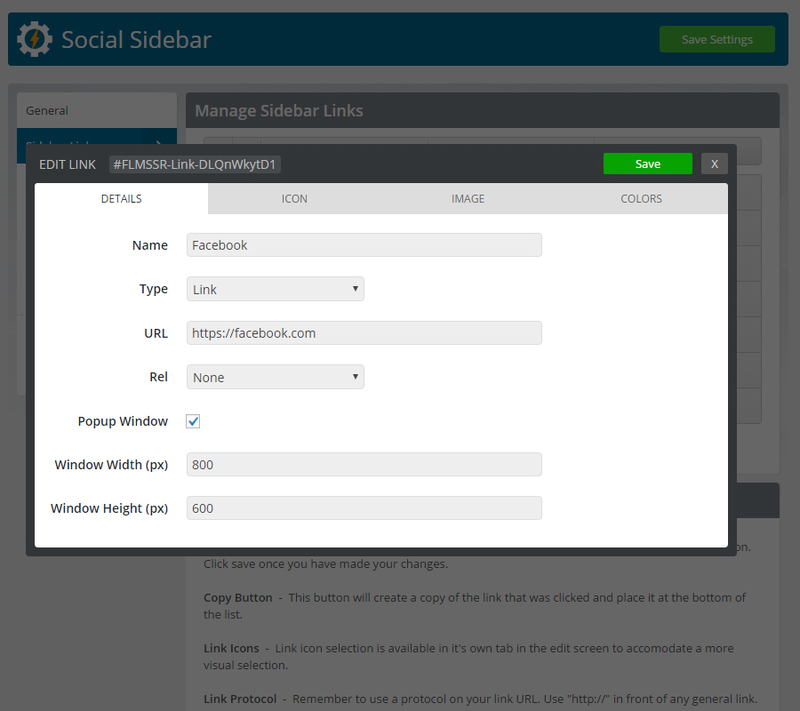 - New Feature: Rounded link shape added. - New Feature: Top and bottom positions added. 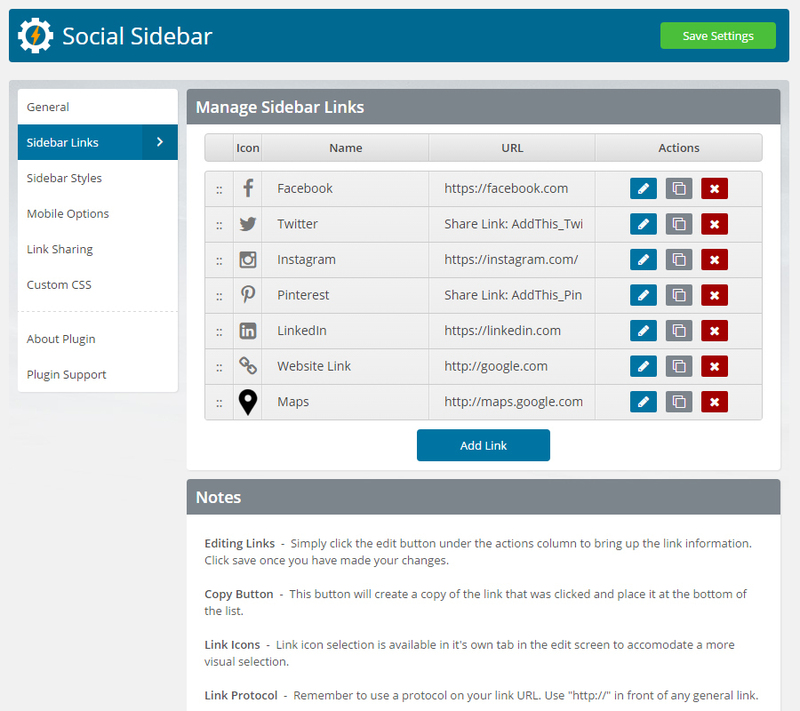 - New Feature: Standard Share links added.